Video Surveillance systems should be an important part of your overall business protection system. Video security cameras help provide peace of mind to business and property owners by allowing them to keep an eye on things when not around. With so many options available from many different manufacturers, video camera systems can vary in price, complexity, and capability. Whether you’re looking for a DVR or NVR, an analog for IP video camera system, we can help you design a video surveillance system for your business within your budget and that meets your security needs. 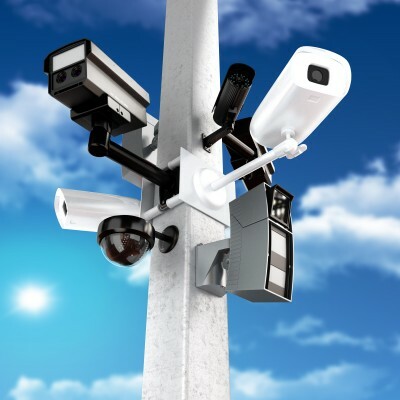 If you’re thinking about installing a new video camera surveillance system, our experienced technicians strongly recommend IP security cameras with network video recording. (NVR) These systems have the most recent technology, HD image quality, and they allow you to easily view video recordings from a computer or smartphone. We can schedule a time to visit your home or business. Give us a call for a FREE quote and for any other locksmith or security services you may need. Analog coax video systems are older technology and are generally not HD video quality. We don’t recommend installing this type of system even on a tight budget. A digital video recorder or DVR is a device that records and digitizes analog video. Once a video signal is digital, it can be transmitted over the internet. DVR systems come in four, eight, or 16 channels with the ability to record video on each channel. DVR systems transmit video over coaxial cable similar to cable TV. One limitation to DVR systems is that power for the camera cannot be transmitted over the coax cable, so a separate power cable needs to be ran alongside the coax cable to power the video camera, which does add additional cost. While DVR’s are not that old, they are more limited and are now considered older technology. We recommend installing an IP camera system with HD video quality to future-proof your investment. A network video recorder or NVR is used for an IP video camera system. IP cameras do not use a DVR to record video. 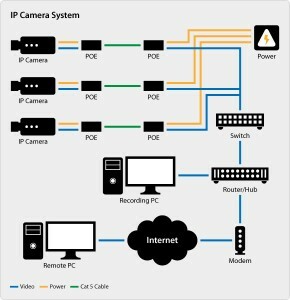 Instead of a DVR, IP cameras record to a NVR, to a computer running video management software, or to a network server. IP camera systems with NVR’s or a network video recorder generally produce better picture quality and are the future of video camera systems. These IP cameras networked through CAT5e or CAT6 internet cables instead of coax cables. This also allows for the camera to be powered over the same cable, eliminating the need to run separate cables to power the security cameras. 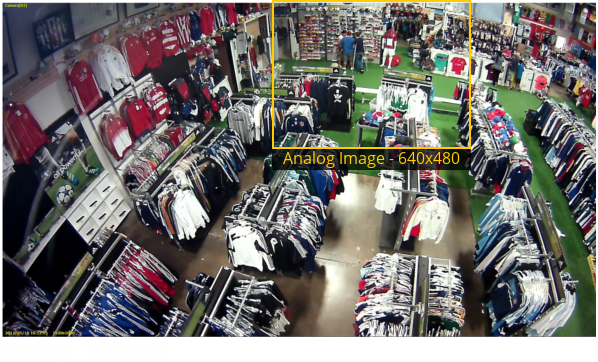 IP camera systems allow for high resolutions and better image quality. We can design IP video camera systems currently up to 5 Megapixels. See the images below to help you understand the difference in Analog vs. HD camera systems and Megapixel resolutions.